Neil Gaiman Gormenghast TV Series in the Works | Nerd Much? 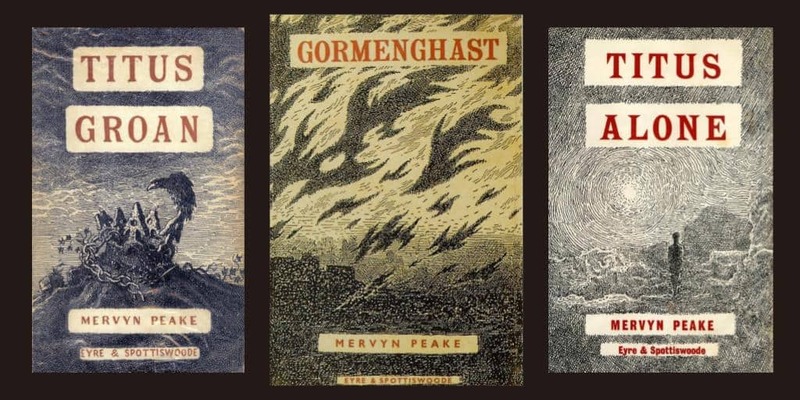 Mervyn Peake’s classic fantasy series, Gormenghast, is being adapted as a TV series, with Neil Gaiman and Akiva Goldsman leading the project. The series, which gained popularity in the Sixties and has maintained its place as one of the defining works of fantasy literature, includes Titus Groan (1946), Gormenghast (1950), and Titus Alone (1959), as well as a novella and an incomplete work. The books focus on the massive castle Gormenghast and its inhabitants, which include: Titus, the protagonist and heir to the Earldom of Gormenghast; Steerpike, a kitchen boy who attempts to make a place for himself in the hierarchy of Gormenghast; Cora and Clarice Groan, Titus’s twin aunts; and Lord Sepulchrave, Titus’s father and the Earl of Gormenghast. The series follows Titus from birth to young adulthood as he struggles to find his place in a dark land. Though there are few fantastical elements, the setting is distinctly otherworldly. FreeMantle Media is currently working with Neil Gaiman on the adaptation of his American Gods. FreeMantle has acquired rights for all five Gormenghast books, suggesting that the adaptation may be a longer project, unlike BBC’s miniseries adaptation in 2000. Neil Gaiman is one of fantasy’s leading voices, known for American Gods, Coraline, Neverwhere, Stardust, and other modern classics. Gaiman’s vision combined with Akiva Goldsman (known for A Beautiful Mind and Cinderella Man) is a promising prospect. Both will act as executive producers; a writer has not yet been decided. Neil Gaiman’s literary style and creative vision fit well with the dark world of Gormenghast and its complicated characters. We will have more details as the project develops.